Looking to fill up your iPhone or iPad with free apps? Great deals are constantly popping up in the App Store, and here are 46 iPhone, iPad and iPod touch apps that are now free. 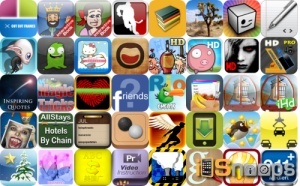 This apps gone free alert includes Dualism, FoodBreaker, Qvoid, Reactor, Ikaros, Icebreaker Hockey, Nosferatu, Grocery Mate, Corkbin, and many others. Remember, prices can change quickly and without notice, these apps may not be free anymore when you read this post. For real-time app deals, check out our iPhone Apps and iPad Apps sections, as well as our Apps Charts. You can also check out our Apps Gone Free section, as many free apps uncovered over the last couple of days are still free today. Still Friends for Facebook – Who unfriended me? Cheats for "Angry Birds Rio & Space HD"